The only independently tested power rack in the whole of Australia! 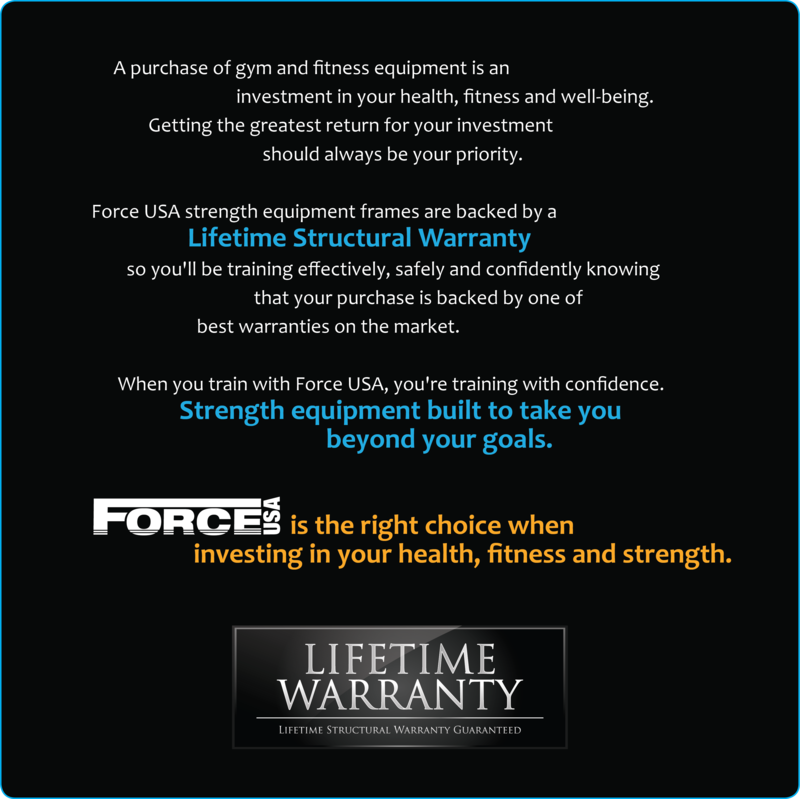 The Force USA Power Rack has undergone rigorous testing to ensure your safety whilst training, after all - isn’t safety one of the reasons you are looking at power racks? With safeties stronger than any weight you will be benching or squatting, you can be rest assured that you will be safe as you push out your 1RM. 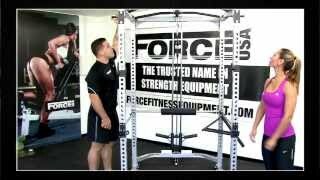 The Force USA Power Rack is, what we believe, to be the best power rack on the market. A power rack enables you to perform an endless range of exercises, safely. Power racks are an extremely common piece of equipment in homes, studios and commercial gyms. Solid steel frame with 5mm solid steel backing plates, independently tested to AS/NZS 1170 Structural Standards. 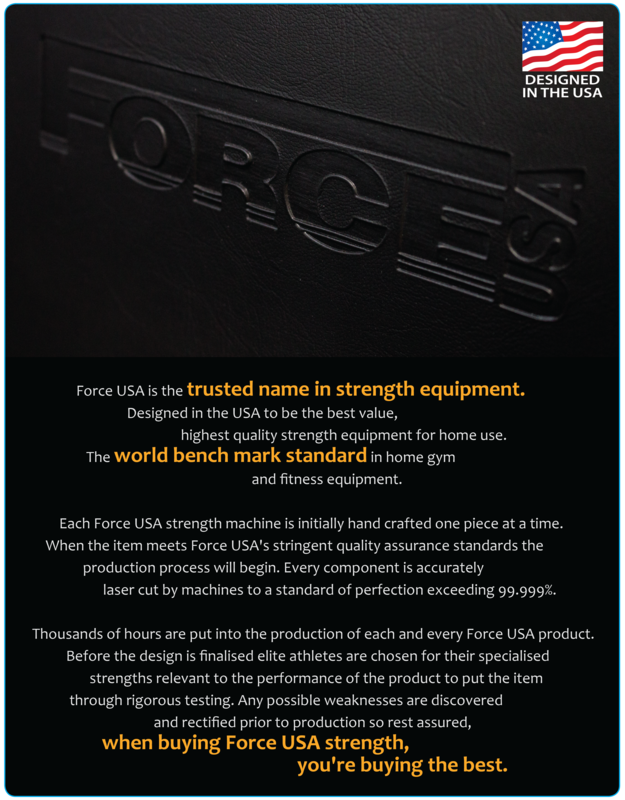 WHY CHOOSE THE FORCE USA POWER RACK?